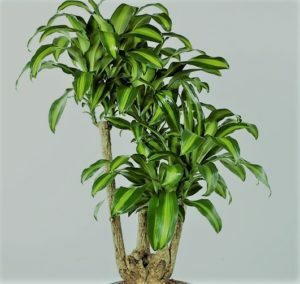 Interior plants are good for your health! A ton of research proves it. Interior plants help improve air quality, and office productivity. Research published by NASA explains how plants clean toxic chemicals from the air such as: benzene, formaldehyde and trichloroethylene. These chemicals are emitted by paint, computers, carpeting, cleaning fluids, etc. A few of these plants, however, can exacerbate allergies or asthma. 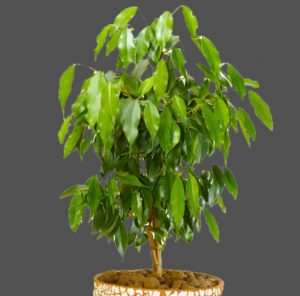 If you are a sufferer and purchase plants for your office or home, this information can help. There is a plant ranking scale, developed in 200 by Thomas Leo Ogren, called OPALS. Their rankings consider scent, pollen and contact-with-skin allergies. And, they rank plants on a scale of 1-10, 10 having the highest propensity to offend. Don’t worry. There are plenty of alternative plants to choose from! Why do some plants aggravate allergies? Pollen. It generally comes from flowering plants and floats in the air. 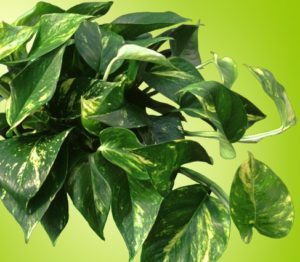 While it can irritate people who are allergic it is not a big problem with indoor plants. Dust. This is the most aggravating culprit. Dust contains allergy causing molds, fibers and dust mites. Some plants are dust magnets. Sap. The list below highlights 2 plants with sap that can irrigate allergies. Notice that all these plants have smooth, glossy leaves. It makes it harder for dust to hide. And easier to clean. Great air purifiers! Pothos are hardy and fast growing. Hung in containers they will trail beautifully. What’s not to like? Besides being beautiful, they are easier to care for than you might imagine. NASA says they are an excellent air purifier. They remove all 5 of the most toxic chemicals. They generate a low amount of pollen. 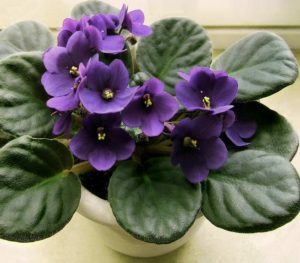 They like bright indirect sunlight and regular water. 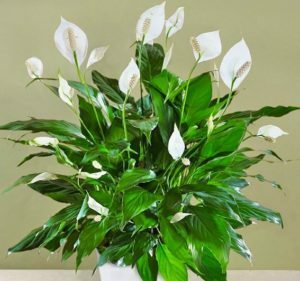 In fact, Spathiphyllum should never be put in direct sun light, as the rays of sun may lead to leaf burn. 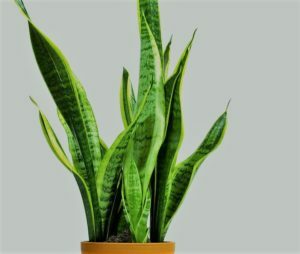 Also referred to as mother-in-law’s tongue. This sturdy plant can thrive with low lighting. A row of Sansevierias affects a modern architectural look to an office or lobby. 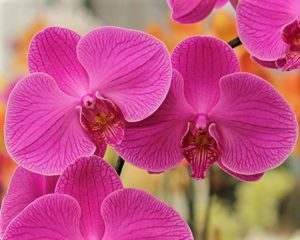 They look tropical; have lustrous leaves and will thrive in low lighting environments! Dracaenas quite literally pull allergens from the air and absorb them. We don’t intend to confuse with this information. Plants have an important role in purifying our air. The best way we can articulate our advice is to say: some plants can affect some people who have allergies. The attributes of the plants listed below can trigger an allergic reaction. 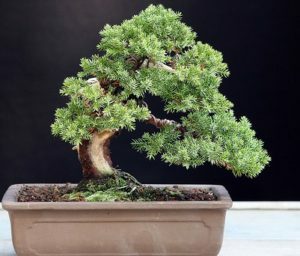 Members of the juniper and cedar family can irritate people with tree allergies when inside a home or office. Juniper can also cause rashes if the skin is pricked. Wear gloves when pruning. Note: NASA endorses this plant because they remove 4 of the most dangerous chemicals from the air. 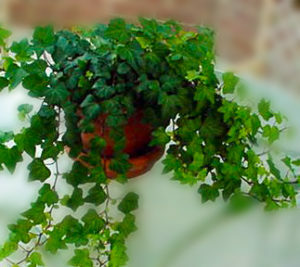 However, some people have skin reactions to English ivy similar to those from poison oak. Emphasis is on “some” people. And these two plants are not related. Though pretty, their fuzzy leaves trap dust. Leaves should be dusted regularly. It is also susceptible to root rot if submerged in water. NASA research shows they do remove 2 dangerous chemicals from the air. However, their sap contains a protein that is similar to latex. It can cause a reaction in people allergic to latex. 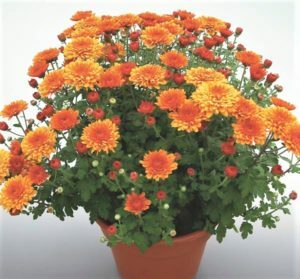 Mums are sometimes planted in containers in buildings. They are also in bouquets. Because they are related to ragweed, mums can trigger a similar allergic reaction as daisies or sunflowers.